I have no idea how other people make them, but I like them prepared very simply. Two main ingredients, time and a little salt and pepper. That’s it. 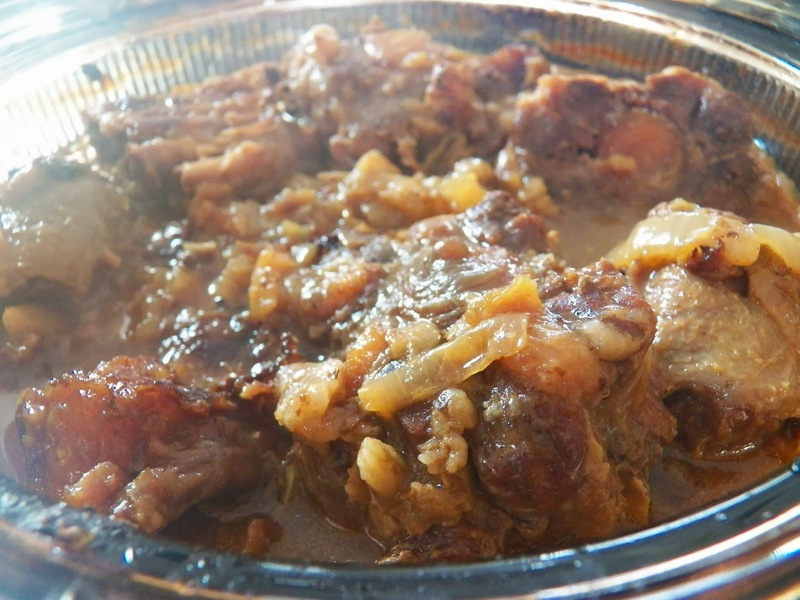 Oxtails and Onions. Oh wait a minute, I think I have a recipe title. Excuse me for a minute, I’m just going to change it. Done. I do it the old-fashioned way, in a pot on top of the stove for a couple of hours and then in the oven for another couple of hours. 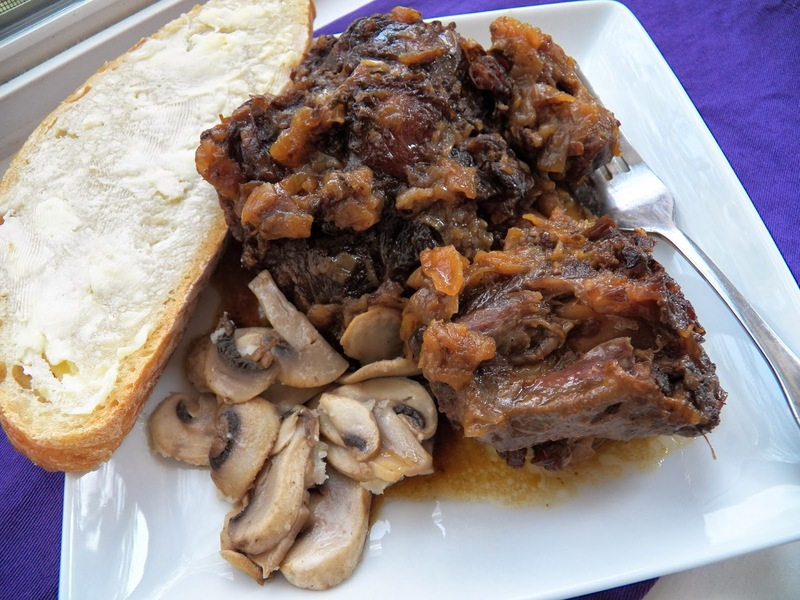 Oxtails need to cook low and slow for hours. This renders the meat so lovely and tender. I think next time, I’ll start it on top of the stove, and then pop it in the crock pot to finish cooking. Sorry, got sidetracked there, I started thinking. To start with, peel 4 (four) onions, and either slice them into rounds or strips or whatever you like. It really doesn’t matter here. 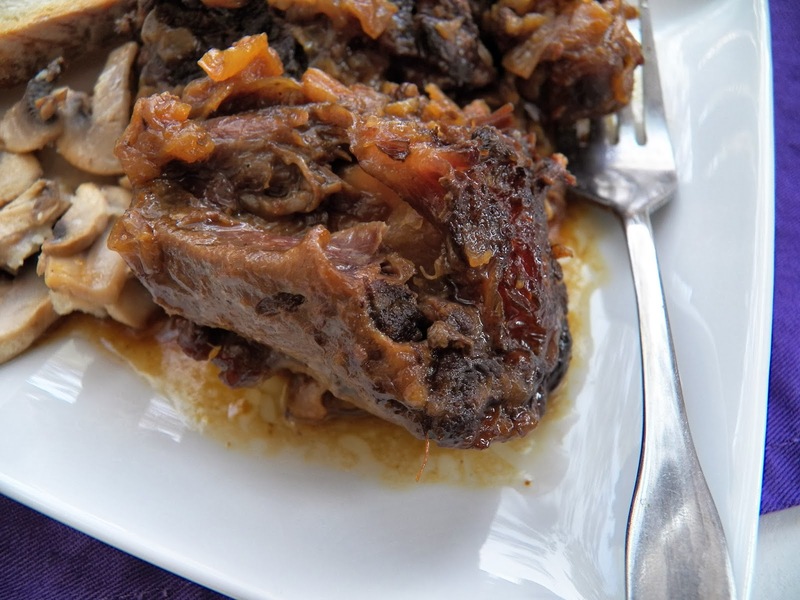 They just cook down into a luscious mouth-watering topping for the oxtails. Next, step away from the pot. Let it cook for about a half hour then give it a good stir. You will have noticed that the onions have given off a fair amount of liquid, this is a good thing. Stick the lid back on and let it cook for another half hour or so, and stir. All you really want to do is make sure that nothing is sticking too much to the bottom of the pot and that it isn’t burning. At this point I usually just turn it down to low and let it cook for another half hour before I check it again. If you’re a little nervous here, you can add up to a half cup of water, but unless you have really dry onions, you probably don’t need it. 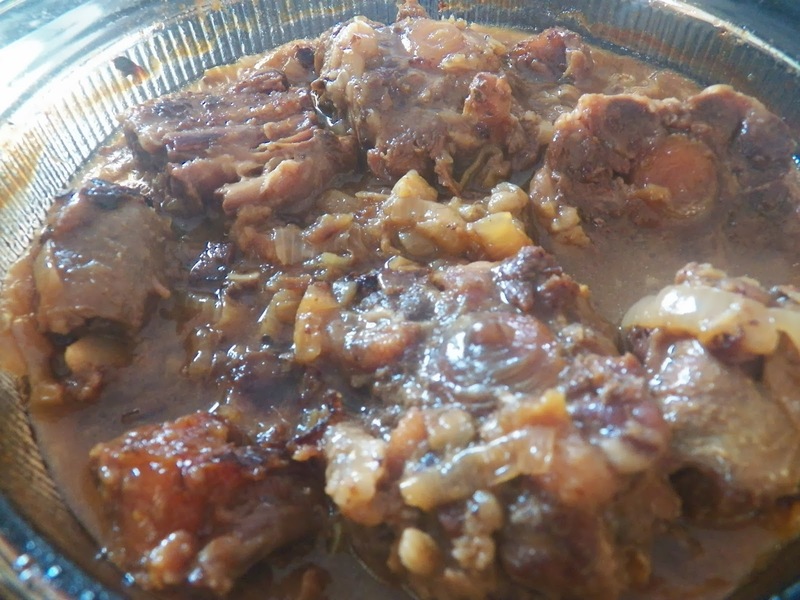 And the fat that has rendered off of the oxtails, which also contributes to the liquid. After it’s cooked down a bit, transfer it to a covered casserole dish and put into the oven at 300 degrees for another hour or two. Serve with rice or noodles or potatoes or a piece of that wonderful No-Knead Bread you baked yesterday and the leftover mushrooms from the night before. Well, that’s how I had mine. And it was good. I ate my fill, then divided it up into a couple of servings and froze the rest. I had so many onions that I also put some into a container and froze them separately and will be adding them to the French Onion Soup I’m making soon. 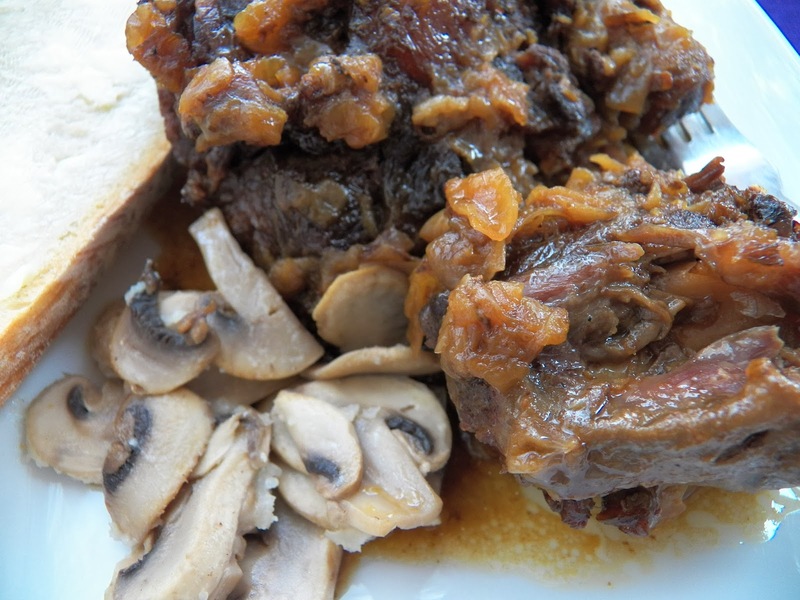 However, Oxtails also make an awesome beef stock for soup. And I think the next time I find them on special, I’m going to do just that, make a soup and of course will share the how-to’s here. I found some Phyllo tart shells on sale a while back and bought them without knowing just what I was going to make with them. And then I remembered my friend Debi and the great Stuffed Grape Leaves she showed us how to make. Well, that day we also made some Baklava and since there was a bunch of Phyllo dough scraps left over, Debi made some Spanakopita tarts. And they were so good and disappeared so fast. So, guess what? I was totally shameless and stole her idea so I made some for the Boat Club Potluck this month. I’m not using leftover phyllo dough, but I am using the phyllo or fillo if you insist, pre-made tart shells I bought. It just so happened I also had some Feta Cheese in the fridge, as well as some Parmesan Cheese and the tart shells, and onions, and eggs, and I found a package of frozen spinach buried in the bottom of the freezer as well. I had all the ingredients. Don’tcha just love it when it all comes together? Nice little bites of goodness, well, I thought they were. Although Debi did tell me I didn’t put enough onion in them, so next time, I’ll up the onion, or better yet remember to put the minced onion and garlic in them in the first place. I don’t know what I was thinking, but I sautéed the green onions, and totally spaced the minced onion and the garlic clove, sitting on the counter all by its lonesome afterwards as well. sigh. I was in a hurry to get these made and I forgot stuff. So here’s the real recipe and do as I tell you, not as I did. However, the Spanakopita Bites, still tasted good, just not as good as they could have. 30 Mini Fillo Shells, brushed with butter and set aside. Thaw the spinach and put into a colander to drain, then squeeze out the liquid. Do a rough chop if needed, makes it easier to fill the tart shells if you don’t have to deal with a bunch of stems. Saute’ the onions til they have softened about 5 minutes, then add the garlic, stir around for about 30 seconds, take off the heat and set aside. Place the spinach, cheeses, onions and garlic into a bowl, then pour over the lightly beaten eggs and milk, mix together. Spoon some of the filling into the tart shells, and bake for about 20 minutes or so until they have browned and the egg has cooked through. Don’t forget to sample one as you take them out of the oven, you need to make sure they are edible after all. Serve warm or at room temperature. You can also make these ahead of time, and just warm them in the oven for a few minutes, they are very forgiving that way. Hi, I know we just had Thanksgiving, and all that fun stuff is over with, including the infamous Green Bean Casserole. You know the one I mean, it’s got canned Mushroom Soup, canned Green Beans and is topped with French Fried Onions. Which actually is probably the only thing I like about it. However, a few years ago I stumbled on this recipe at the Pioneer Woman’s website. It changed my opinion about Green Bean Casserole forever. And if you happen to have a vegetarian or two to serve, this can be adapted for them. For me, I’m a hopeless carnivore and also love my bacon so I make it as written. Oh, and if you’re doing it Gluten Free, just thicken the Bechamel sauce with some cornstarch or potato starch. Blanch your beans for a couple of minutes, then take them off the heat and cool them down with some ice water. Set them aside while you get the rest together. And then put them into a greased casserole dish. Cut the bacon into lardons and cook in a skillet until they start to brown, then add a chopped onion, cook until the onions start to carmelize, and turn a lovely shade of caramel, then add the garlic and cook another minute or so. Set aside. Grate two cups of cheese, cheddar, sharp cheddar, colby Jack, whatever you like. Personally I prefer Colby Jack cheese. Set aside while you make a basic white sauce. (a lot of setting asides here, huh?) A couple cups of milk or half and half, some butter and flour (or cornstarch if you are gluten free). Cook until thick, then add the grated cheese, stir that around until the cheese is melted, than add the bacon and onion you just cooked. Taste it, then add some cayenne and some salt and pepper to taste. I usually put in 1/4 teaspoon of Cayenne to start with, then add more if I think it needs it. You can also use mustard instead. Both of them will ‘amp up’ or intensify the cheese flavour. Give it a stir and for the final touch, add some chopped pimento’s. Just for color, and they do add a little flavour as well. Now for the final step, well next to last, well OK, so there is a couple more steps here. Sheesh, stop counting. Pour the sauce over the cooked beans and give them a stir so that the sauce coats each bean with love and cheese. Spread some buttered Panko bread crumbs over the top, (omit this if you’re going gluten free, or use gluten free bread crumbs). 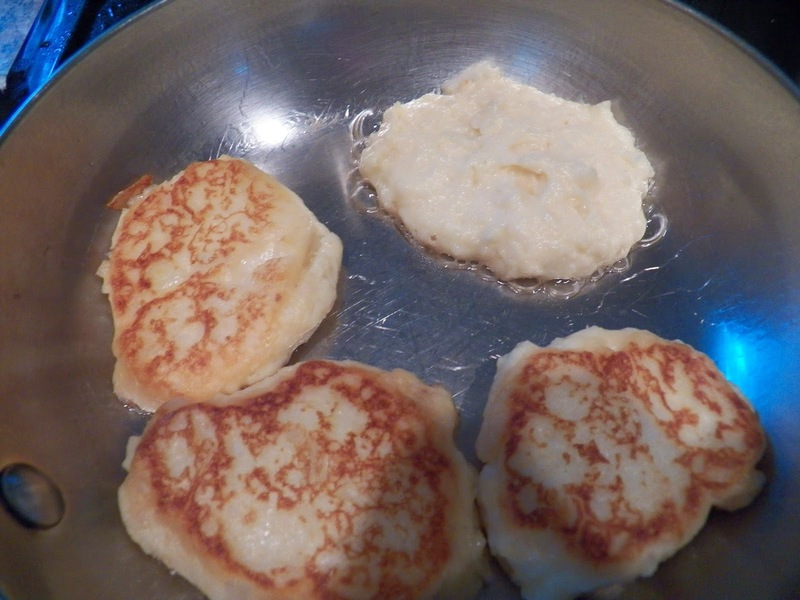 Or just dot it with some butter like this. Place in a hot oven, about 350 degrees for 30-45 minutes. Remove and serve. Oh and don’t get surprised if even your kids love this, it is that good. Almost half of it eaten. The next time I made it, I took it to a potluck and people were scraping the bowl, personally I think they would have picked it up and licked it, the sauce is so good. I just had a thought. Make the sauce by itself and serve over some baked potatoes. Now that would be an awesome meal. Cook the beans for about 4 minutes, drain and dump into some ice water to stop the cooking process, then drain and place in a well greased casserole dish. Cook the bacon until almost done, then add the onions, continuing to cook them until they begin to caramelize a little. Add the garlic and cook for another minute or so. Set aside while you make the sauce. Make the white sauce, melting the butter and whisking flour into the butter, letting it cook a minute or so to get the raw taste of the flour out. ** Gluten Free instructions at end. Then add a half cup of milk, whisk that in, then add the rest of the milk and half and half, whisking it well. Let it cook, continuing to stir until the sauce thickens. After it has thickened, continue to cook for another minute or two, then add the cheese, pimento’s, cooked bacon and onions, and the seasonings. Stir together and pour over the green beans. Stir to combine, and top with the Panko bread crumbs and dot with butter. Or melt the 2 tablespoons of butter in a pan, then stir in the bread crumbs and combine. Sprinkle on top of casserole and bake for 30-45 minutes in a 350 degree oven. Serve. ** Gluten Free. 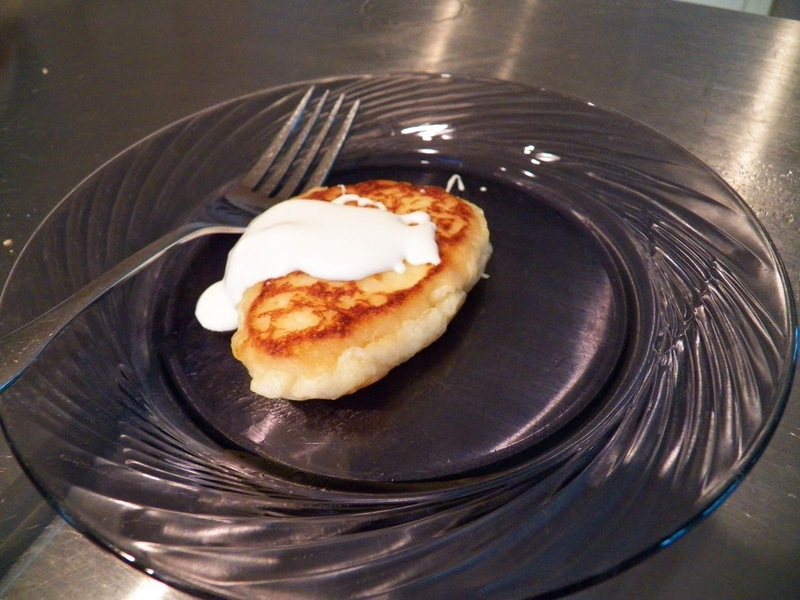 If you’re making this gluten free, whisk the Corn or potato starch into the milk and heat, until thickened. 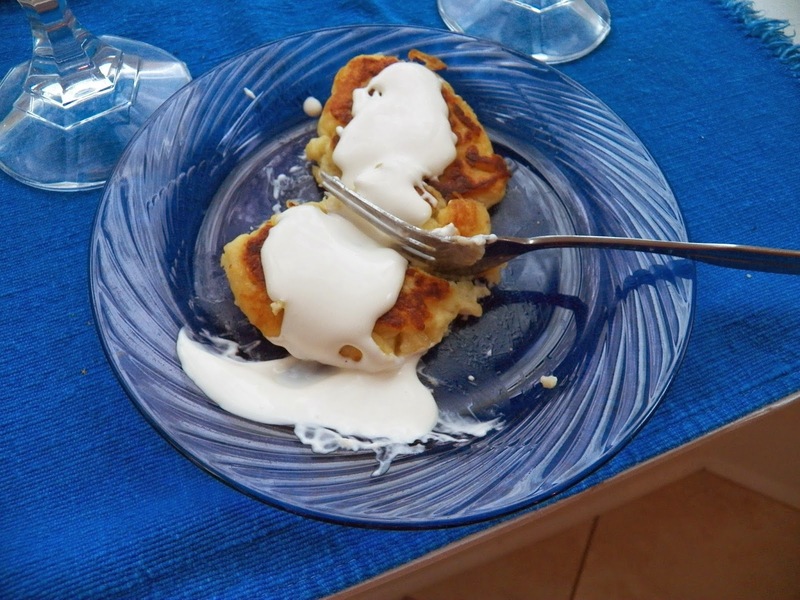 You can also add a couple of tablespoons of butter towards the end. 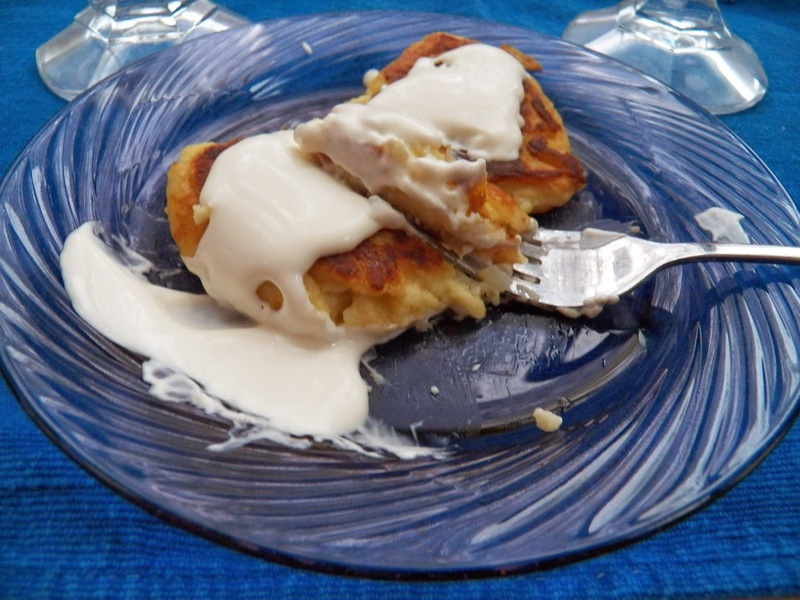 If you need it a little thicker, add a little more cornstarch mixed in with some cold milk, and whisk it in. *** Vegetarian, substitute Mushrooms for the bacon and follow the other instructions.